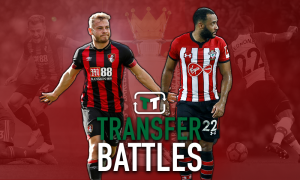 Bournemouth look to splash £8m on Championship ace | The Transfer Tavern | Where football transfer rumours fly or die! 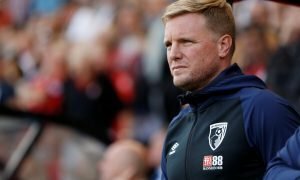 The Bournemouth fans here in the Transfer Tavern are embracing their maiden season in the Premier League, even if their current form is pretty ordinary. Following Tuesday night’s 3-1 defeat at home to West Ham United, it looks as though boss Eddie Howe is set to blow another hefty wad of cash on Matt Phillips from Queens Park Rangers, according to The Sun. The tricky winger will cost around £8 million and will take the club’s January spending to £27 million, following the signings of Benik Afobe from Wolverhampton Wanderers and Lewis Grabban from Norwich City. One Cherries follower is working on his long potting on the pool table and is incensed by the news he has seen regarding the Phillips deal and claims that Howe needs to work on keeping clean sheets rather than splashing the cash on fancy attacking players. Another is chatting with the landlord and is worried at the club’s current form and fears the worst for the Cherries should they be relegated back to the Football League, given the amount of money they are spending at present. Cherries fans… What do you make to this news? Should defence be the focus? Let us know in the comments below!